For the past decade, Trinidadian Oloye Esabenjo Efag Oriyomi Orisagbemi has brought the Obatala Festival to the people of Trinidad., and this year’s celebration took place on the 7th of January . As usual there was a street procession, a carrying of the symbol of Obatala through the streets of the Ita Osa to spread the blessings of Peace and Tranquility to One and ALL. The procession is sometimes accompanied by a police detail , Orisa visitations and other energies of the ritual are part of the festival. An afternoon of Cuban style drumming from the Contemporary Music Project. Learn more about these unique styles, and feel like you are being transported to Cuba.Batá are the most sacred drums of the Lucumí — the Yoruba people in Cuba. Their rhythms invoke the melodies and harmonies of a lost and distant world. When played with their many songs, the batá are a musical bridge to a universe where rhythms speak words and the drum is the voice of a god.Rumba drumming is the key to the Cuban soul, the voice of the street, and a celebration in song, dance, and drum. It is the newspaper, a way of spreading knowledge, a form of social resistance, and a comment on daily life. Its driving rhythms and lilting songs ring with the spirit of the island.Contemporary Music Project’s director Don Skoog is a musician, teacher, and writer who lives in Oak Park. 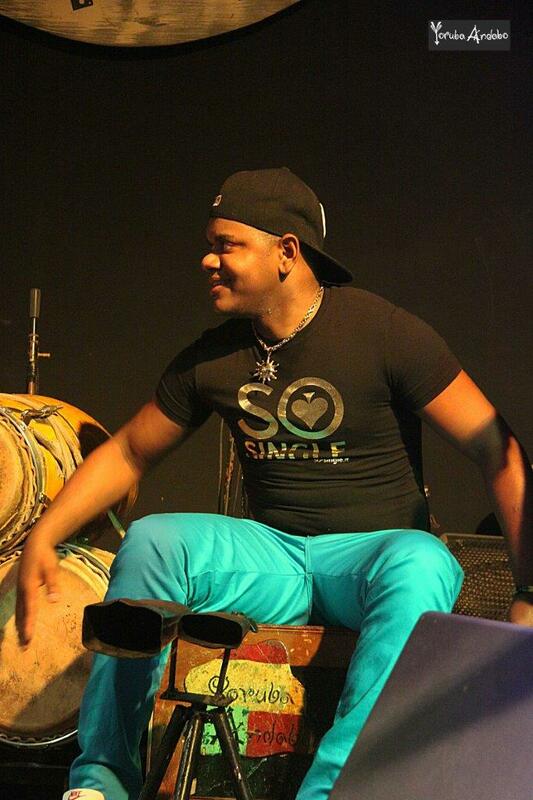 He gigs on drumset, Latin percussion, Marimba, and Flamenco cajon. He founded the Project in 1982, and has traveled to Cuba numerous times. La Plaza de los Trabajadores se reserva para la tarde rumbera, viernes y sábado desde las 4:00 p.m.; y la Plaza de San Juan de Dios, para las descargas, hoy a partir de las 9:00 p.m., y mañana, media hora antes. Rumbatéate concluirá el 12 de junio con el Rumbón Sagrado, de 3:00 p.m. a 11:00 p.m. en el Club universitario El Bosque, con la participación de las agrupaciones invitadas Ochareo (Cienfuegos), Rumbávila (Ciego de Ávila), Abbó Aché (Santa Clara), Muñequitos de Matanzas, Yoruba Andabo (La Habana) y Rumbatá. La cultura cubana pierde a uno de sus íconos! Geovani Del Pino has passed away, Director of the legendary Company, Yoruba Andabo. 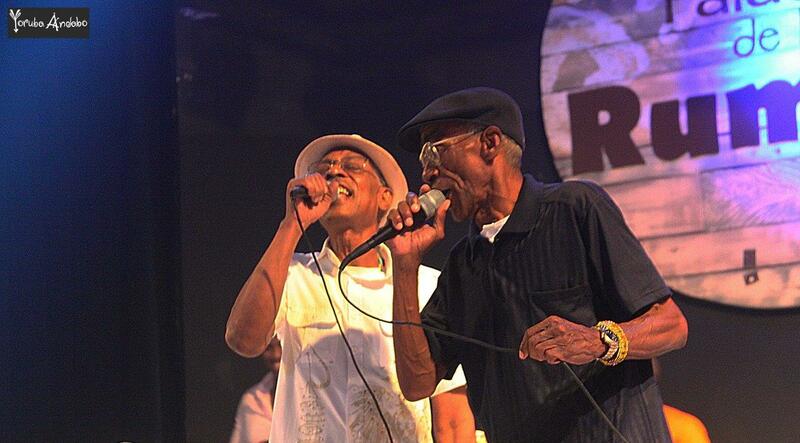 For over 50 years he cultivated the various genres of Afro-Cuban culture. Under his outstanding leadership, Yoruba Andabo has managed to spread their art in important cultural spaces in America and Europe, and create a significant and multi-award winning discography. He has given lectures and master classes at universities and cultural centers. Yoruba Andabo has its genesis in the docks of Havana Harbor in 1961, when a group of workers met at parties and union artistic events. They gave rise to Guaguancó Maritime Port, whole, in 1985, began professional work with the Yoruba Andabo name. From that moment, he offered his art in various activities of the National Union of Writers and Artists of Cuba (UNEAC), worked with the record label EGREM, initiated by the composer and singer Pablo Milanes, and shared the stage with folk singer Merceditas Valdes. Currently, the company is made up 15 of artists, including singers, percussionists and dancers. The cast has grown and performed dissimilar musical genres that make up the African roots of Cuban culture and including the Congo, Yoruba, Abakuá and called the Rumba, with its traditional rhythms, especially the yambú, guaguancó and columbia cycles. They also include elements of fusion with other musical genres, creating contemporary sounds and voices. The Yoruba Andabo discography exceeds twenty titles, many of which have won awards nationally and internationally. They have won a Juno Award, the Canadian equivalent of the American Grammy Award, nominations from the Academy of Music of Spain and a shared award and two Latin Grammy nominations. In the past, at Cubadisco, won the award for best album of Afro-Cuban music. The Art of Yoruba Andabo has been appreciated by the demanding public at relevant theaters and places of Canada, USA, Brazil, Caribbean, Costa Rica, Panama, Colombia, Mexico, Spain, Geneva, Paris, London and Carnegie Hall, New York city. Cuban culture loses one of its icons. May is a real tough month for culture vultures in Havana. Put quite simply, there is not enough time—too many things to do, places to go. There is definitely something for everyone this month. Cuba is celebrating its 9th Jornada Cubana Contra la Homofobia from May 10 to May 21, coinciding with the International Day Against Homophobia and Transphobia (IDAHOT) on May 17. Not to miss is the colorful and lively traditional gay parade to the beat of conga drums that will start out on the Malecón and will continue along Calle 23 down to Pabellón Cuba. May is a month packed with various cultural activities: Cubadisco, the Cuban version of the Grammys, will shake things up from May 14 to 22 while Mayo Teatral, the Latin American and Caribbean Theater Season, is a real highlight for fans of the performing arts. A high spotlight in May is the French Culture Month with an all-encompassing program of music, theater, visual arts, dance, architecture, design and film events. And the French Cinema Festival, created back in 1997, has become an important festival recognized not only in Cuba and France, but internationally as well. The House of Chanel is presenting “Obra en Proceso/Work in Progress,” an unseen-before photography exhibition by its head designer and creative director, Karl Lagerfeld, at Factoría de Arte in Old Havana. Many things are happening in Havana and it’s no wonder people are saying it’s the place to be at right now. Just a little over a month ago, President Obama visited Cuba with his family, while that same week, the Rolling Stones gave a legendary concert in the Cuban capital. Rihana and model Joan Smalls came to Havana for photo shoots, and Usher chose this city to get married. Now, the eighth instalment of the Fast and Furious series, due to be released in April 2017, is being shot here, while the Adonia Cruiser, the first to sail from the US to Cuba in more than a half century, made its entrance in Havana Harbor on May 1. In the light of these events and the increase of visitors, many people assure that Havana is in fashion. And demonstrating this in a big way, Karl Lagerfeld made history on May 3 with the presentation of the Chanel Cruise 2016-2017 Collection, the first show by Chanel in Latin America. The beautiful tree-lined 18th-century promenade Paseo del Prado became Lagerfeld’s catwalk for this historical show. to the Chanel Show in Havana. At least half of the models are Cuban, selected by the Chanel team in a casting held months ago. But surely, the spotlight shined on one male model. Tony Castro, grandson of Fidel Castro, was signaled out as the grand star of the Chanel show. Yes, winds of change are blowing in Havana. My name is Egbelade Omitonade Ifawemimo. I practice African Traditional Religion, Yemoja worshipper. I am Yemoja priestess which also versed in Ifa, Researcher, Theologian. I am a graduate of Obafemi Awolowo University where I studied Economics Education, Ile Ife, Osun State. I am from Ibadan, Oyo State, Nigeria. In Yoruba culture, songs and dance have so much importance to religious worship and spirituality. All Orisas holds particular importance in dance and songs. And Worship in African Traditional Religion take the form of rites and ceremonies and include prostrating, praying, invoking, and making offerings. Sounding the bell or gong, singing, drumming, and dancing as occasion demands. Song and dance come up under liturgy. Liturgy therefore, is an important element of worship in African Traditional Religion. In Orisa Worship, the presence of dance as a way of reenacting spirituality and songs as a way of reverence to the power of Olodumare and Orisas are essential to the worship of Orisas. Each Orisa is identified with drum ensemble, songs and dance styles. Also, every Orisa has unique dance movement that reflects its attributes as we have different drums for each Orisa. That is, the musical instruments used for each Orisa is different. The musical instrument for Sango and Yemoja is bata, Ifa is for Agogo and other Orisas is Dundun. For example, certain medicinal journals are hailing the powers of a mushroom family known to Yoruba science for thousands of years called Akufodewa. via The Yoruba day of the week dedicated to money and profit – theyoruba. MONTREAL, Quebec – March 11, 2016 – PRLog — Yoruba Andabo will participate in the Colloquium and Festival of Music and Poetry Nicolás Guillén, an event that will have as a general theme Africa and its diaspora, and will be dedicated to the 130th anniversary of the abolition of slavery in the context of the decade of African descent. The show, entitled “Tribute to the Rumba” and under the artistic direction of Maestro Jose Luis Cortes, will be held on March 24 at 8 pm in Havana’s Mella Theater. 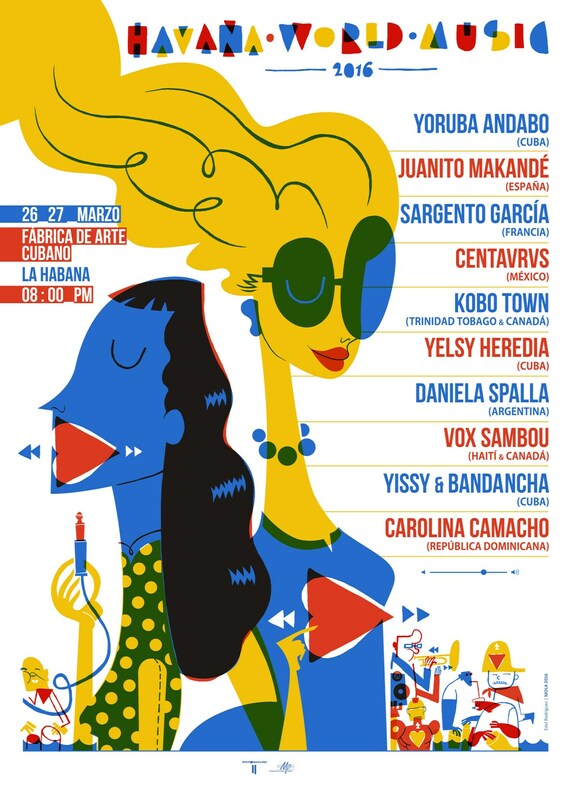 Yoruba Andabo participará en el Coloquio y Festival de Música y Poesía Nicolás Guillén, evento que tendrá como tema general África y su diáspora, y estará dedicado al aniversario 130 de la abolición de la esclavitud, en el contexto del decenio de los afrodescendientes. El espectáculo, titulado Homenaje a la Rumba y bajo la dirección artística del maestro José Luis Cortes, se realizará el 24 de marzo a las 8 pm en el habanero Teatro Mella. Visítenos y seguir nuestras diferentes cuentas de redes sociales y la página web. Visit us and follow our different social networking accounts and website.